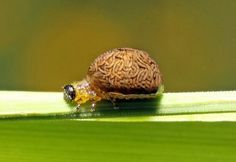 The cereal leaf beetle is a small grain pest that is native to Europe and Asia. In 1962, it was found near Galien, Michigan in Berrien County. It has since spread across the Midwest and to the East Coast, and also found in some wheat-producing states in the western United States. Cereal leaf beetle was initially an important defoliator in wheat and oats, but as a pest it is now relatively uncommon in Michigan. 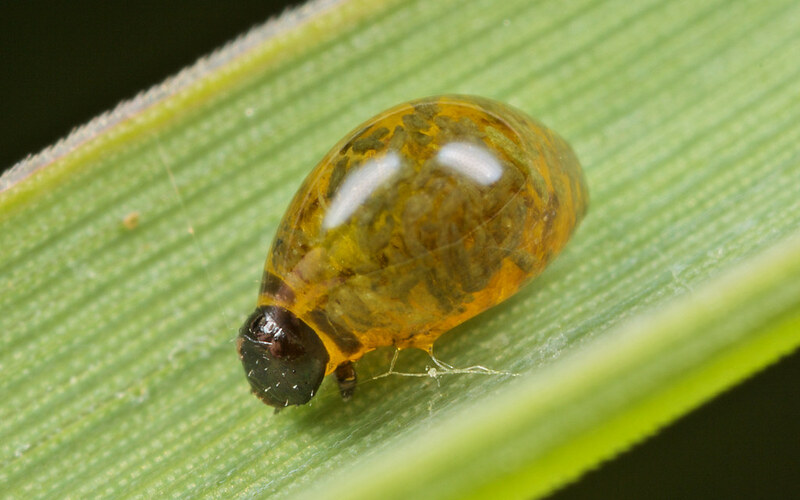 The US government and universities such as MSU released several beneficial parasitoids in the 1960s and 1970s, and these natural enemies effectively control cereal leaf beetle in many parts of the Midwest. Cereal leaf beetle adults overwinter along edges of field. They have pretty dark-blue wing covers, a distinctive red thorax (a red neck), and red legs. 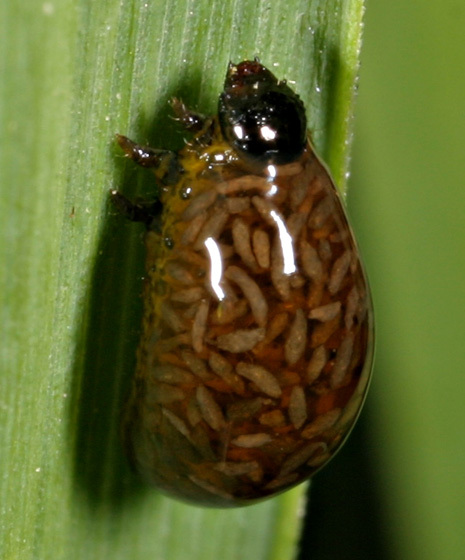 They emerge in the spring and lay eggs on the upper surface of small grain leaves. Larvae are white, fat, and hump-backed with a black head and six small legs. 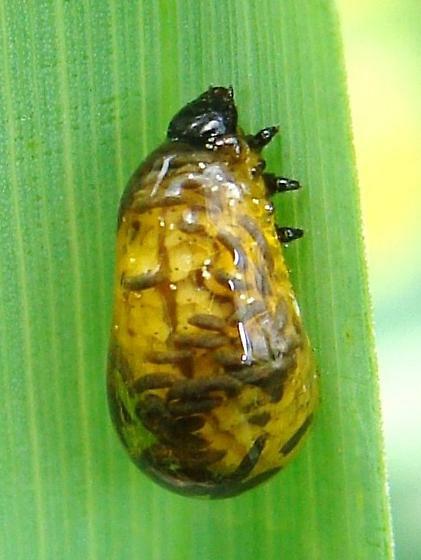 However, larvae won’t appear white in the field because they have a unique defense mechanism to avoid being eaten – they smear a covering of excrement over their body, as in the photograph. Larvae feed for two to three weeks on grain leaves, scraping the leaf surface. Hot-spots in fields appear white or frosted (similar to heavy alfalfa weevil feeding), but damage to an entire field is rare in Michigan. Infestations may be greater along field edges, and greater in oats than in wheat. Larvae pupate underground in late-May or early June (although the life cycle seems delayed in 2009). There is only one generation per year. New adults emerge and may feed on small grains or corn briefly, but then they spend the rest of the summer in an inactive state along field edges. Thus the only damage occurs in May and early June as larvae feed. Early in the season, the threshold is three or more eggs or larvae per plant. On larger plants, the threshold is one or more larvae per flag leaf. I have never seen a field over threshold in Michigan, but cereal leaf beetle is still a problem on the East Coast. 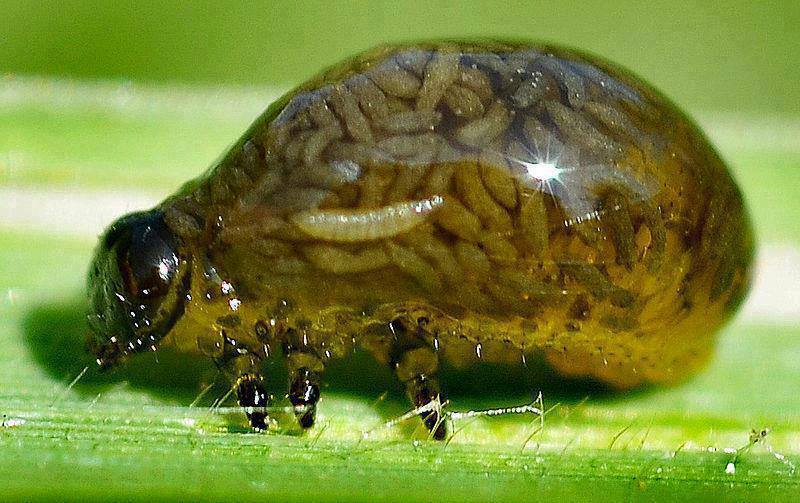 Avoid unnecessary insecticide applications to small grains for cereal leaf beetle, aphids, and other insects because broad-spectrum insecticides kill the parasitoids that are responsible for most of the control of cereal leaf beetle in Michigan.